So I just heard about chalk paint and I'm intrigued. I have a hutch I want to do....I need to do some more research! Also, love those recipe cards!! That picture of DH and the scottie? DYING at the cuteness!! 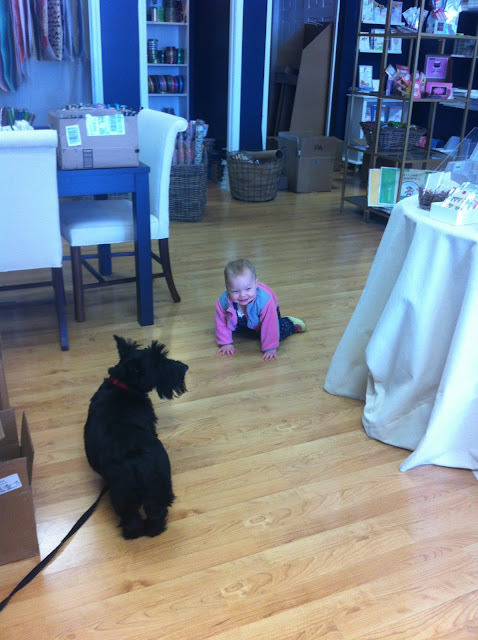 i am OBSESSED with scottie dogs...i think DH needs another play friend for sure!!!!! I love the one of DH and the Scottie nuzzling / burrowing into each other! SO sweet! Also, magazine mail is so thrilling!